Late night swing dancing after a Montana summer rodeo requires core warmth and unencumbered movement. 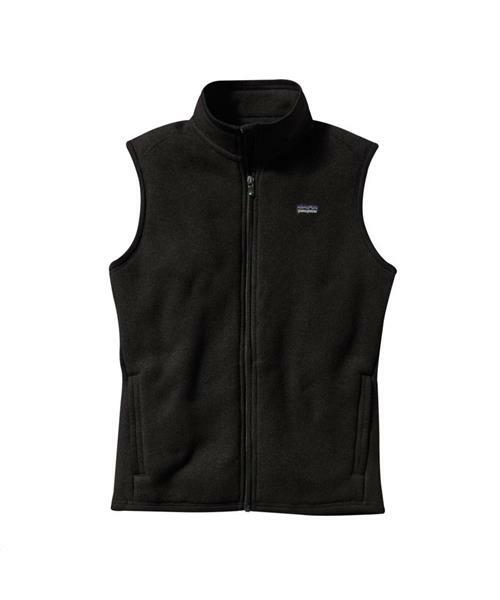 You get both in this civilized fleece vest. The moisture-wicking fabric has a heathered sweater-knit face and a soft fleece interior. Smooth polyester jersey trims the wind flap, cuffs, hem and zippered handwarmer pockets. Feminine seaming offers a contoured fit. With interior drop-in pockets. Hip length.